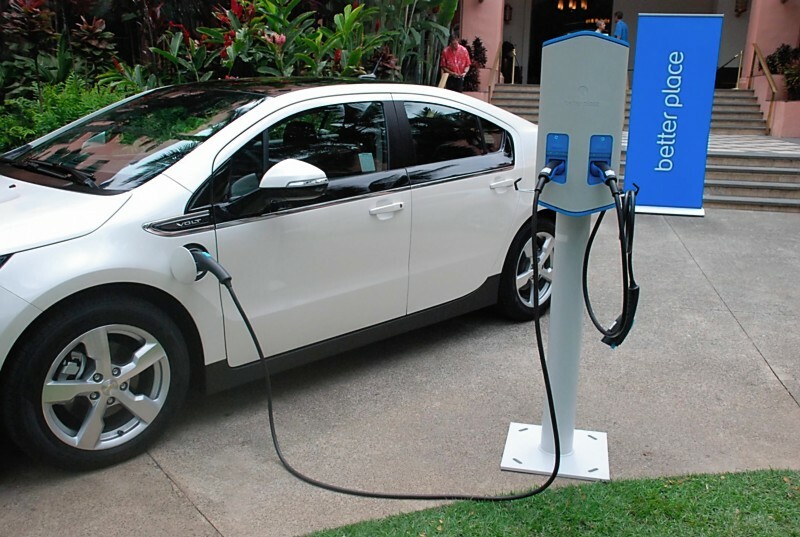 Hawaii's electric vehicle drivers will have free access to more than 130 charging stations across the state through the end of 2012. Electric car network provider Better Place says it is activating the state's largest electric vehicle charging network on Oahu, Maui, Kauai and the Big Island, including at hotels, office buildings and shopping centers. Beginning Jan. 1, 2013, drivers will have the option to sign up for a Better Place membership plan. With federal and state funding, Better Place has been working with businesses and property owners to install charging infrastructure across the state. In April last year, Better Place installed its first charge spots in the parking structure of a Waikiki hotel. There are now charge spots at five hotels and resorts on Oahu, Maui and Kauai.